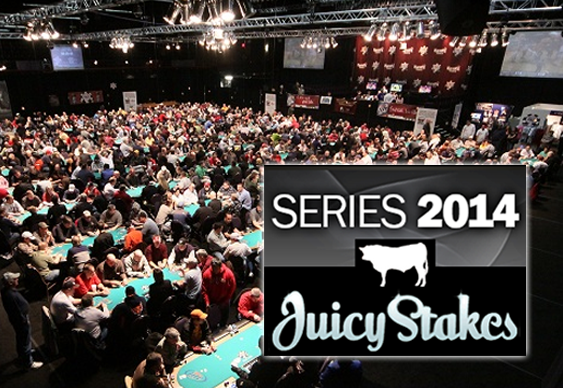 Juicy Stakes Poker is running its Series 2014 promotion offering online poker players the chance to earn a seat into the upcoming World Series Of Poker (WSOP) from as little as $0.33. The online poker domain is offering low-cost satellites for its $33 buy-in Sunday finals every four hours until May 25 with each week’s competition awarding $1,500 in cash to spend in Las Vegas or wherever. Juicy Stakes Poker has also added a pair of freerolls due to hand out a total of $1,250 to its schedule tonight. The first will be a $750 affair from 7pm London time followed five hours later by a $500 counterpart. “Juicy Stakes offers Texas hold‘em, Omaha and Omaha high-low ring games and tournaments,” read a statement from Juicy Stakes Poker.